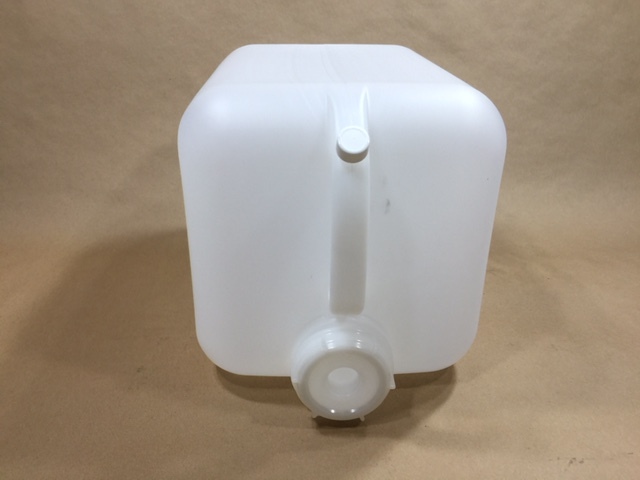 We stock a 5 gallon high density polyethylene dispensing container with graduation marks or liquid level marks. This container is made from high density polyethylene and is natural (translucent). It has graduation, or liquid level markings, at the 1, 2, 3 and 4 gallon levels. It has a 70mm cap and an 18mm vent cap which are both included in the price of the container. There is no UN rating on this container making it suitable for shipment of non-regulated product only. It is also FDA compliant and suitable for food products. 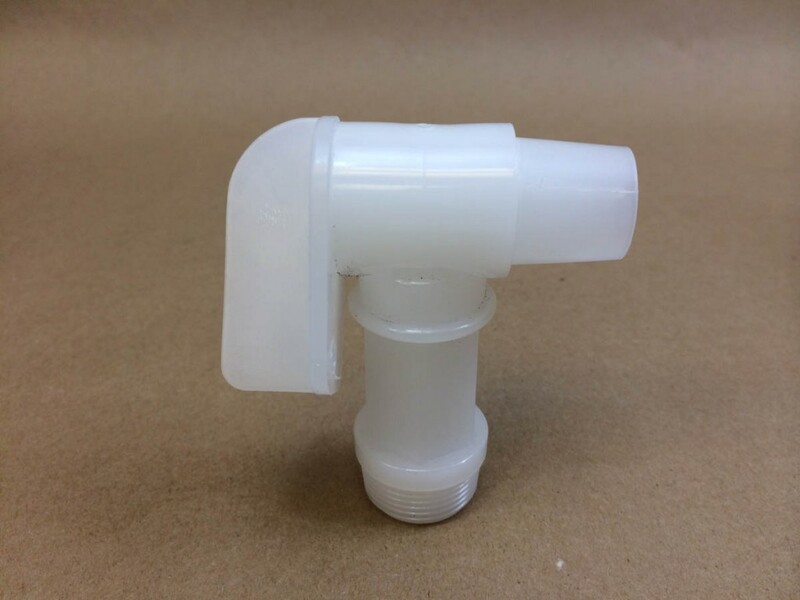 We also sell a 3/4″ Flo Rite faucet (listed below) that can be used with this container. The center of the 70mm cap has a 3/4″ reducer which can be taken out. Once the center reducer is removed, the 3/4″ faucet can be threaded into the cap. Some common uses for this type of container would be cleaning supplies, water, shelf dispenser, dilution tanks, car wash supplies and many more. As always, compatibility of the product with the container is the responsibility of the shipper.